A homemade insert to suit a regular size Midori Traveler’s Notebook. We’re planning a big family adventure later this year and I wanted a simple travel journal to document everything. It needed to be big enough to hold everything I wanted to write about, but small enough to not be a burden to fill in. It also needed to fit in my homemade traveler’s journal. With that in mind I downloaded Ray Blake’s travel journal printable insert and adjusted it for my needs. Nothing major, I just cut it back to only 14 Daily Journal pages and added two blank pages at the end before the Final Reflections. For some reason my printer decided to print the gray sections very, very faintly, but you can still make the sections out. The inserts were printed on A4 paper and then each page folded in half. I used an old school atlas page showing Tasmania to create a cover. 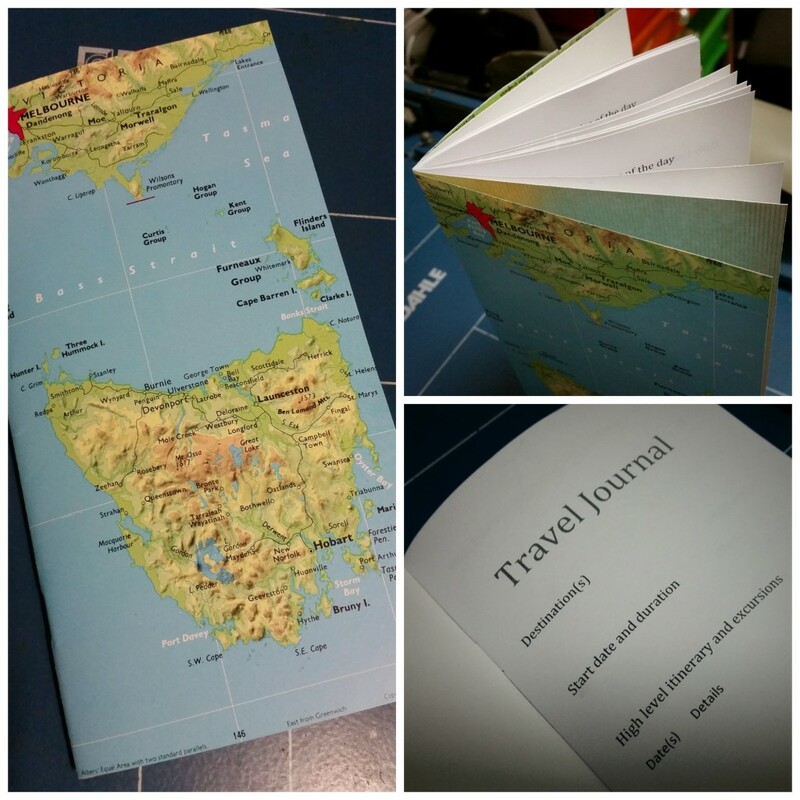 In between the cover and the printed pages is a sheet of thick travel themed scrapbook paper to help give the cover a little rigidity. The spine is stapled in two places (had to use a long-arm stapler for this) and then the excess paper trimmed to leave an 110mm x 210mm booklet. I’m really happy with how it turned out and can’t wait to use it. 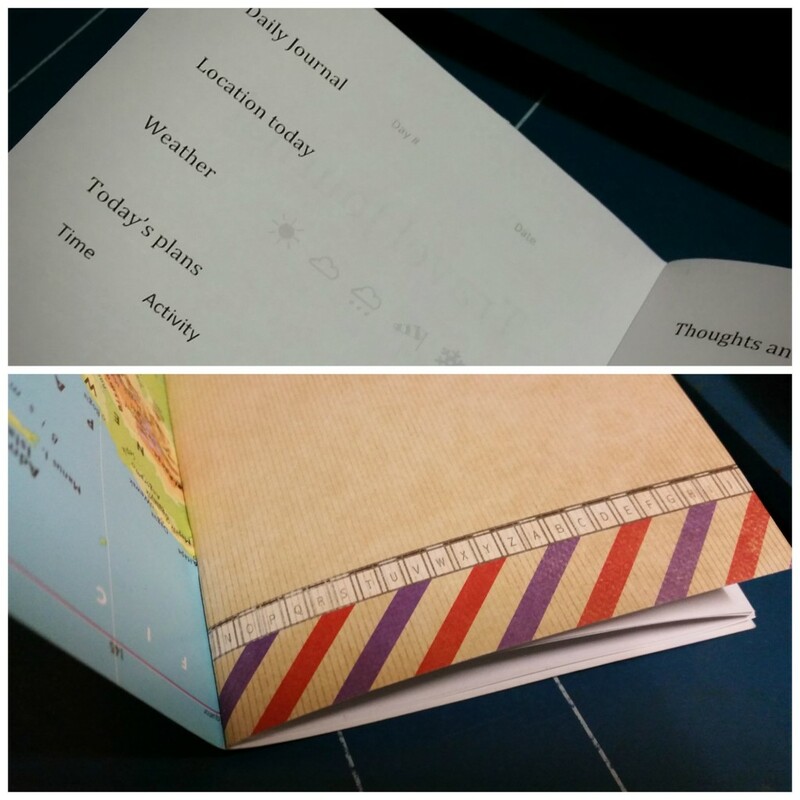 This entry was posted in Journaling and tagged Custom Inserts, Homemade, Notebook, Travelers Notebook by Sammie. Bookmark the permalink.